Terje Haakonsen is a living-legend in freestyle snowboarding. The Norwegian dominated the slopes and half pipes throughout the 90’s with an unrivaled-fluid style and uncanny ability to ride multiple types of terrain. Terje also pioneered many of today’s standard aerial maneuvers while creating tricks like his patented “Haakon Flip.” In addition to his innovative riding, he was also instrumental in the advancement of snowboard-design. He developed the T6, which was made out of a material named “Alumafly,” an aluminum honeycomb construction, and was also a co-creator of the Burton Fish (a powder-specific board) and the Burton Malolo, a crossbreed between a freestyle and powder board. Beyond the boards and tricks, Terje emerged as an advocate for the soul and future of snowboarding. 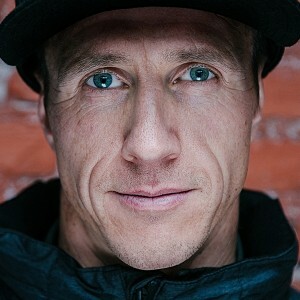 Whether it was his boycott of the Olympics in 1998 and the formation of the Arctic Challenge in 2000, or more recently leading the 180 Olympic Charter to advocate for snowboarder’s rights in the 2014 Winter Olympics, Terje uses his influence to positively affect the sport. Today, he splits time between Norway and Hawaii, enjoying a healthy Waiola Life with a huge focus on a clean diet and riding snowboards or surfboards whenever the opportunity presents itself.